There was a good Reuters wire article today, by the always entertaining Leslie Gevirtz, on my new paper with Johan Almenberg and Anna Dreber, based on a beer tasting I ran in 2009 with Seamus Campbell and Alexis Herschkowitsch at the Green Dragon beer bar in Portland. 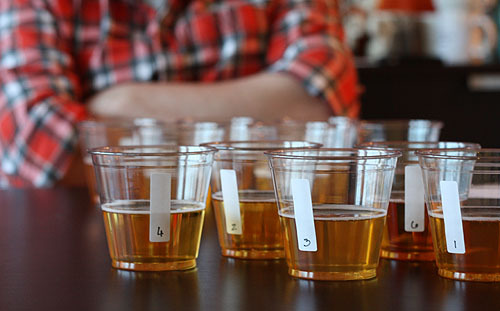 Our finding was that three major brands of European pale lager beer can’t be distinguished from each other in blind tastings. Here’s another article on our paper from ABC in Denver…and here’s the paper itself, which is in review at the Journal of Wine Economics.